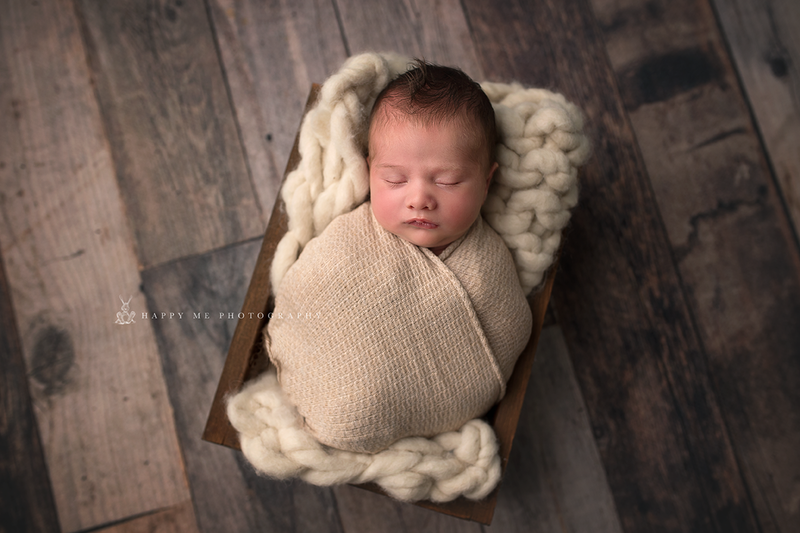 When Lauren was on the hunt for a newborn photographer Belmont, she happened to find me on Belmont Mothers Club. 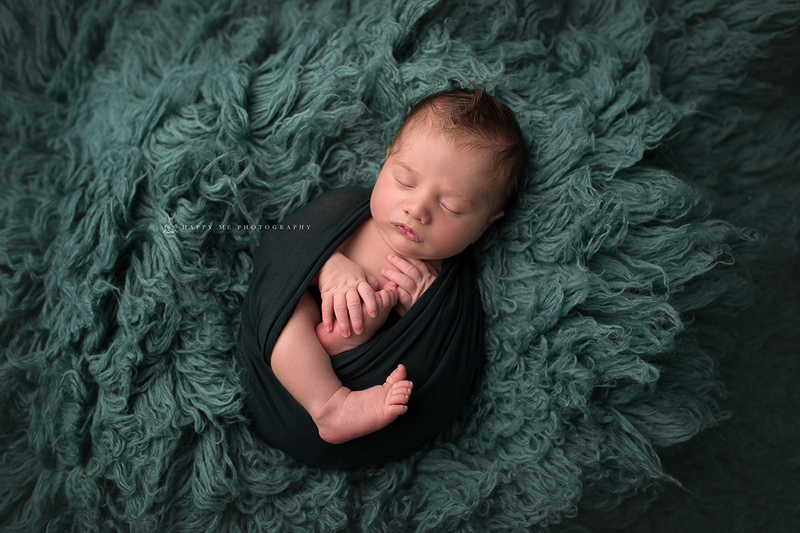 She went ahead and booked this session four months in advance of her expected due date. 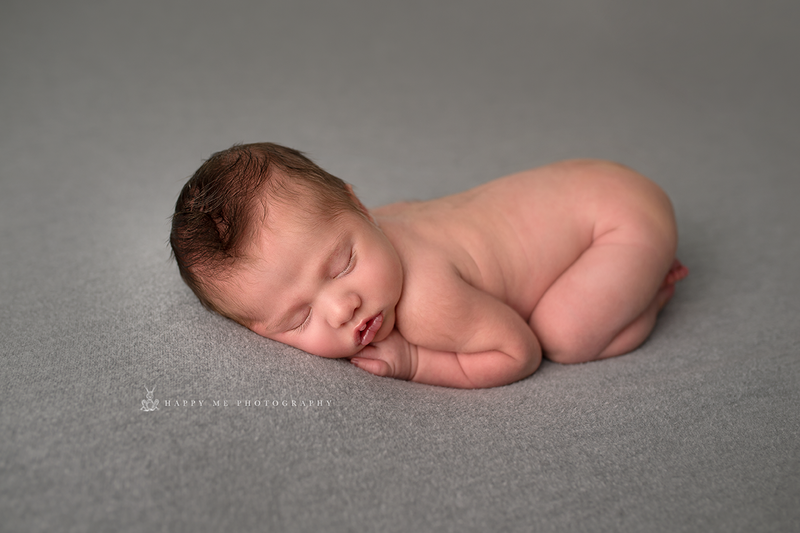 This precious little guy was only nine days old in these photos. 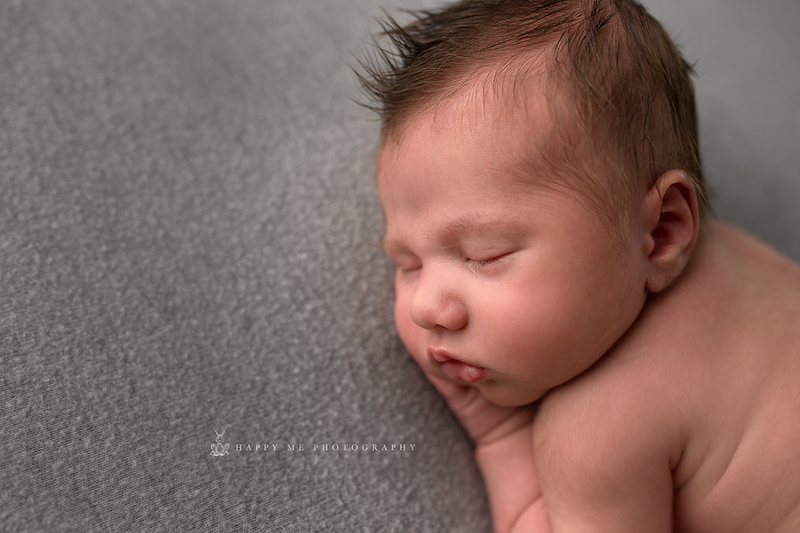 Just look at that naturally formed Mohawk, it is absolutely adorable. 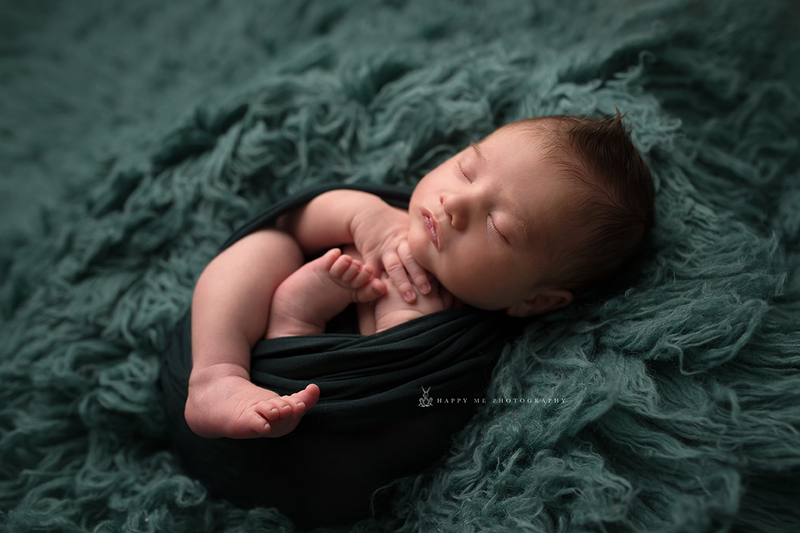 This baby boy was probably the most easy going, good natured newborn I have ever worked with. 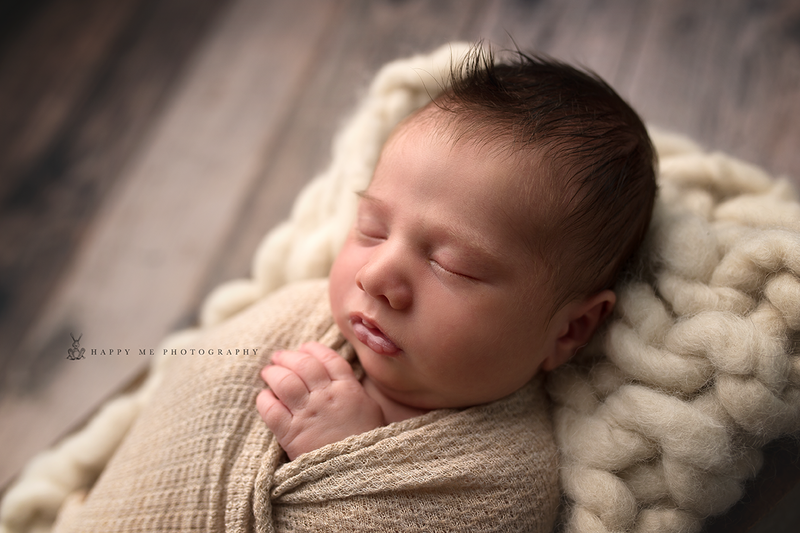 He literally slept almost the entire time we were shooting. Even the few moments he was awake, he never cried once. 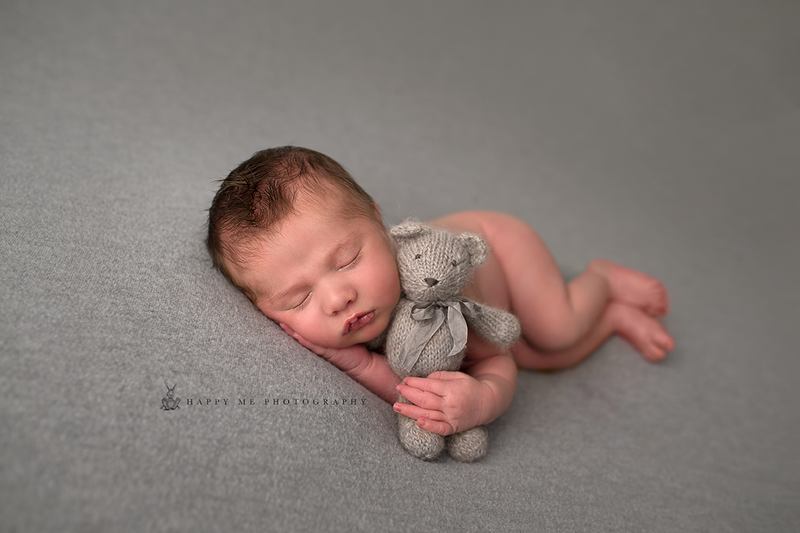 That is definitely the exception, and not the rule when working with babies 9 days old when trying to pose them and change them! That being said, however, his adorable big brother was not so accommodating. Being a toddler of two years old, he was not exactly interested in having pictures taken. I think he was still trying to figure out this new little addition to the family. He did not really want to come too close to his brother, so we had to come up with a kind of creative solution to the problem. For the photos of him by the baby, we had to take two different pictures. For the first, we took one of the baby alone in the basket. For the second, we used a little technology. We put a YouTube video that big brother likes on Moms phone, and placed it inside the basket. 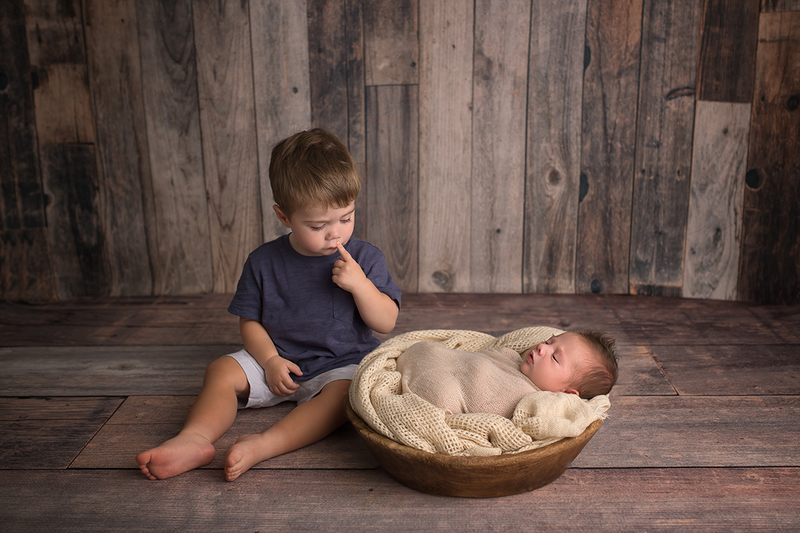 To put it all together, I did a composite of the two pictures, so that it appears as if he is beside the basket looking in at his baby brother. Thankfully they all turned out great and this sweet family has some great photos to cherish for many years to come. 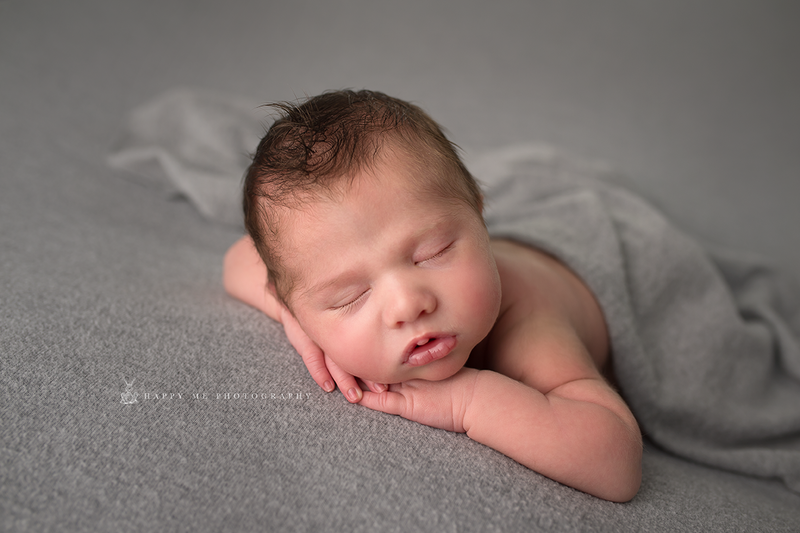 If you would like to schedule your own newborn photography session, please visit my website. I look forward to working with you.